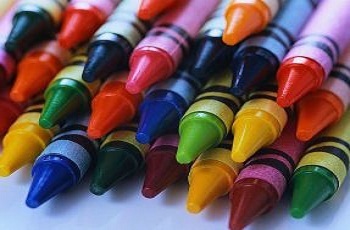 « Don’t be groan up …..
Have an art attack …..
Research shows that smelling crayons can reduce your blood pressure by 10 points. In my seminars, I sometimes ask people to draw a very quick picture of a tea cup and saucer – they’ve got 15 seconds to do it. Do this now, or at least imagine the picture that you would draw. I can make a prediction. Your drawing, just like virtually all the other drawings I’ve ever seen, is taken from a side view rather than a bird’s eye view, and the cup is in the saucer. Am I right? Why does this happen? Because, before you even begin to think about the drawing, your brain has created your frame of reference. When the same experiment is done with 5 year old children however, a significant proportion of children will draw the cup and saucer from a bird’s eye view, and a few will even draw the cup out of the saucer, on its side, or upside down. As we get older we tend to see the world through a filter of preconceived ideas. Drawing, painting, playing a musical instrument, or an activity that makes your heart sing, will increase your ability to see more options and be more creative. Time for an art attack? A man walked into the doctors, he said, "I’ve hurt my arm in several places." 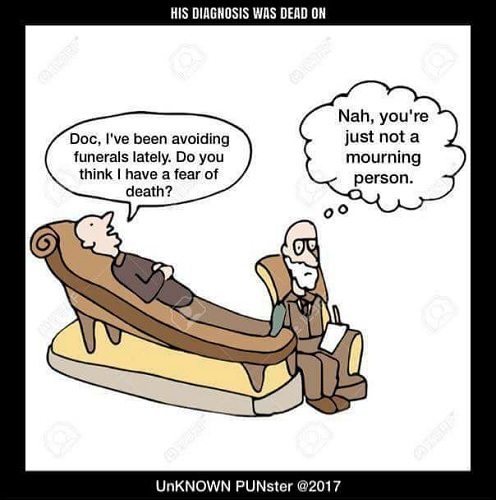 The doctor said, "Well don’t go there anymore." He’s got mood poisoning: It must be something he hate. Aircraft designers have constructed a plane made entirely of rubber, so that if it crashes, it bounces. It’s called a Boing 747. My computer crashed and now my wife’s computer has slowed down to see what’s happening. Did you hear about the German vampire who became a poet. He went from Bat to Verse. I’m away for a couple of weeks so the kids can cross Disney off their bucket list. Back on 3rd September. This entry was posted by admin on August 13, 2017 at 6:24 am, and is filled under Sunil Bali, The Art of Awesome Living, The Book of Awesome Humour. Follow any responses to this post through RSS 2.0. Both comments and pings are currently closed.